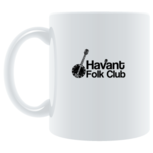 The Havant folk club is informal and friendly. All are welcome. Poets, singers, folk musicians of all walks of life. We have been running for several years now and we have a wonderful variety of people attending the club – we love to welcome new faces. Friends and partners are also welcome if you’d like to bring someone with you just to watch. There is no set fee, however we ask for a donation only (recommended £3) as a contribution to the club for hosting us. 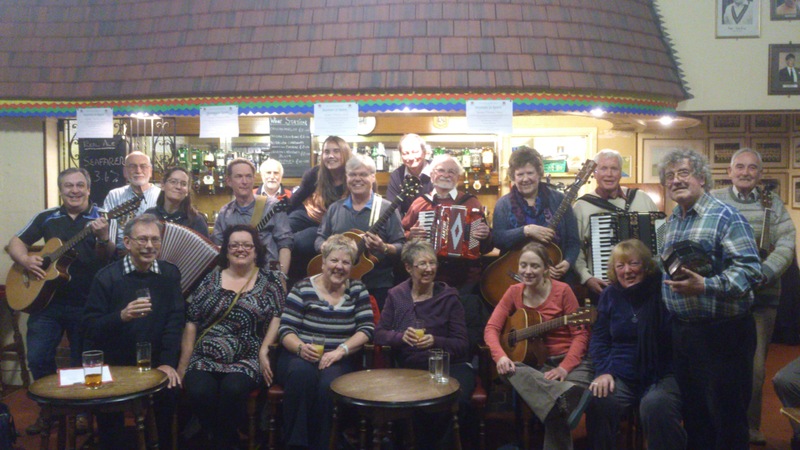 The bar staff and the rest of the folk club team give their time for free, and the club does not charge is for booking the room. Park in the Wickes car park in the centre of Havant and walk under the underpass – the clubhouse is immediately on the other side of the tunnel. You will need to get a pass from the clubhouse to put in your car, however parking is free. We generally sit around in a circle and play music and sing to each other, whilst sipping a nice cider or ale. It is a very friendly environment, however we do ask that noise is kept to a minimum whilst people are performing. 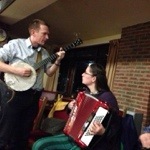 You can bring something for everyone to join in with, or you can perform to us if you prefer. Everyone is welcome. 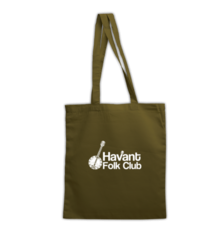 You can get a Havant Folk Club bag or mug via this link – useful items which also contribute towards the running costs of the club.